Enjoy your content on the biggest screen in your home - your TV. Personal Cloud leads the category in streaming to more TVs and media players than any other device. Access your music, movies and photos from Smart TVs, game consoles, Blu-ray players and other connected devices throughout the home. 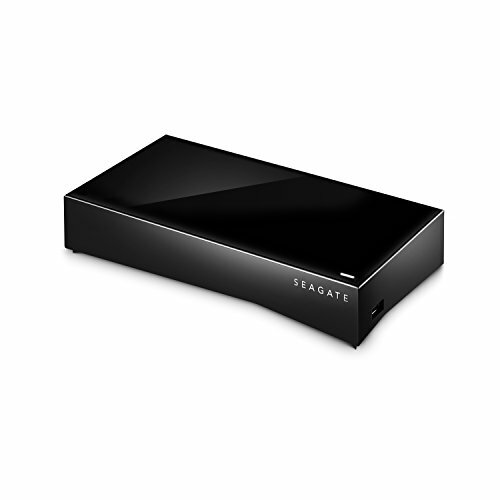 You can use the Seagate Media apps to stream media to Chromecast, Roku, Apple TV, Xbox One, Amazon Fire TV, Android TV, LG and Samsung TVs, Sonos, and any other DLNA certified device. Personal Cloud is the first and only smart storage device that works with IFTTT (IF This Then That). IFTTT enables powerful connections with hundreds of apps and smart devices that you use everyday, including Facebook, Instagram, Dropbox, and SoundCloud. Archive your digital life automatically with the only smart storage device that is designed for the smart home. IFTTT Compatible. Only smart storage device that connects with hundreds of apps and smart home devices. Use IFTTT (IF This Then That) to automatically download your Instagram likes, Facebook tags, SoundCloud favorites, Gmail attachments, and many more. Supports Plex Media Server to organize your media, make it look beautiful, and stream it to any Plex supported device - including the new Apple TV, Xbox, Playstation, or TiVo.